Sorry to have been off the Island recently with posts about the Finger Lakes and my adventures at TasteCamp. Just doing my job as a wine enthusiast! Pindar Vineyards 2008 Riesling ($17) is extremely aromatic in the glass. Notes of peach and apricot fill the glass with some floral notes too. There is a bit of candied pineapple and honey between the layers. With the subtle note of orange and a bit of baking spice. The taste brough more candied and dried fruit like mango, apricot and peach with a subtle note of fresh pear and apple. There was a decent showing of rocky minerality. This is a semi-dry wine that leaves a viscus honey like coating on the palate at the end. There is a good amount of acidity to the wine. The finish is long and enjoyable. It was drinking like a late harvest wine. While it may have had a bit too much residual sugar in the wine for my liking, it did have a good acid backbone. I enjoyed this with some grilled chicken sausage and pasta. But I also had this alone and I could see this after a meal. Nevertheless is was good to be back home. 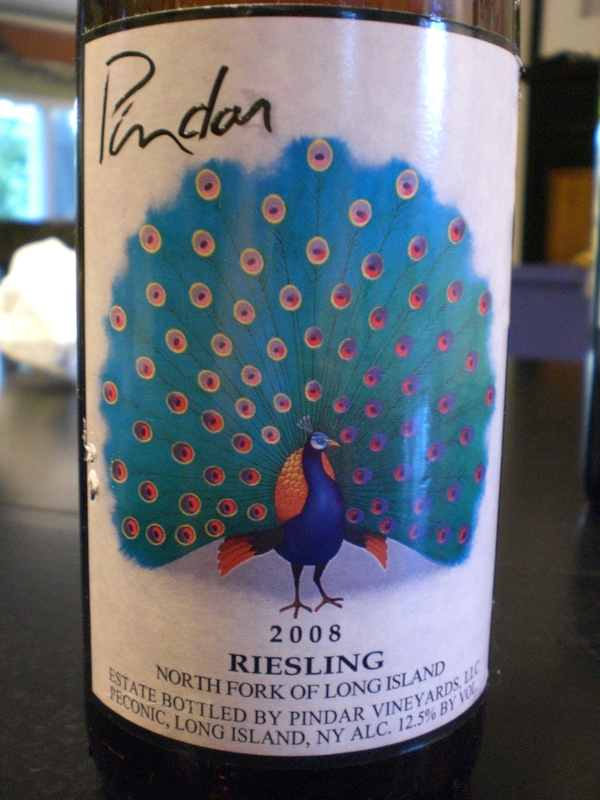 This entry was posted in Long Island, Pindar, Riesling. Bookmark the permalink.